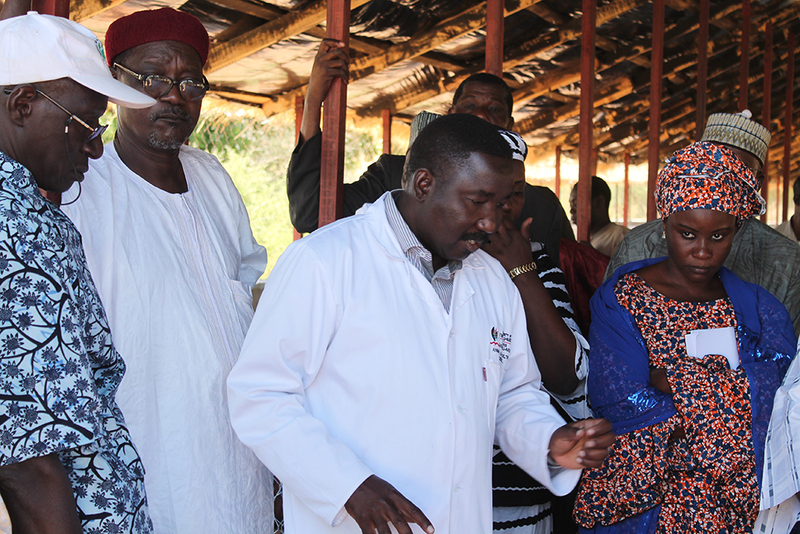 “Today, there are eight PhD-qualified agricultural researchers in the Department of Animal Production in INRAN thanks mostly to the capacity building initiatives of the West Africa Agriculture Productivity Program (WAAPP),” says Dr. Nourou Abdou, Head of Department. As a beneficiary of the WAAPP funding himself, Dr. Abdou spent four years (2012-2016) in the University of Kwa-Zulu Natal in South Africa where he obtained a Ph.D. in animal food and nutrition. He had a chance to carry on with post-doctoral studies in South Africa, but Adbou opted to return home and serve his country in the critical livestock sector. Niger has a long cultural history with Livestock farming. Majority of people in Niger depend on livestock and subsistent farming for their livelihood. This sector is, however facing challenges ranging from climate change, desertification, land tenure, health, and nutrition. “I had many other possibilities to stay and work in South Africa. But I returned home because of patriotism. It is better to return home and work rather than go on adventures,” he says. Research and development (R&D) in Niger like in most West African countries is primarily donor-driven. Agricultural research faced considerable challenges following the end of a World Bank-funded program in 1998. With the introduction of the WAAPP in 2008 and its different capacity building actions, some relative progress has been made in this regard. For the new scientists trained under this program, this is an ideal opportunity to contribute to advancing agricultural research in their countries. Learning abroad and experiencing other lifestyles in relatively more developed countries can make resettling back home considerably challenging. “The working conditions may not be as attractive as we want and things may not be as we want. But, it is up to us to make it work,” says a determined Abdou. In 2017, Dr. Abdou was appointed Head of the Department of Animal Production of INRAN. Compared to a few years back, this is significant progress for this 49-years old researcher. “Without the additional credentials obtained thanks to WAAPP, this promotion would not be possible,” he says. At his new job, Dr. Abdou is already working hard with his staff to build a clean and decent working environment. And already, progress has been made in the physical environment. This is in part because he believes that with determination, everything is possible. “It will work if we want,” he adds. Forty-three years old Souley Kouato Bachir returned home to Niamey, Niger after spending five years in the University of Liege in Belgium. Between 2012-2017, he studied veterinary science. The state of Niger spent close to USD 100.000 (roughly 47 million FCFA) on Dr. Souley. While this might seem enormous, the return on this investment is already palpable. “The foot and mouth disease is a highly contagious viral disease affecting domestic and wild ruminants and pigs. It is endemic in Niger with potential impact on the national economy because of its negative effect on animal production,” he argues. “One of the main findings of my research on the foot and mouth disease is that it makes good economic sense to vaccinate the animals,” says Dr. Souley. Niger exports livestock to West Africa and other parts of the world. Foot and mouth diseases can severely hinder the levels of exports as well as milk production. For a country that depends largely on livestock, this can be a major challenge. 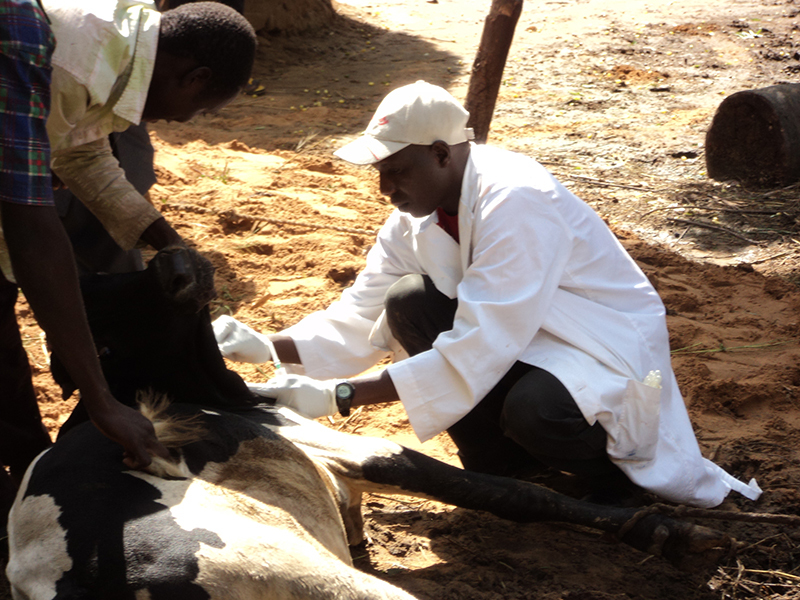 For this WAAPP-sponsored Nigerien, his new knowledge and work will be critical to understand the adequate vaccine and ensure those in the livestock value chain take up the treatment. At a time when most West African youths are taking enormous risks to travel to unknown destinations in search of better economic conditions, it is somehow impressive to see others who are driven by the love for country. For many decades, governments in Sub Saharan African countries have provided scholarships for its citizens to study in Western universities, but many decided against returning home. They instead took up relatively lucrative teaching jobs in the higher education sector. But not for these Nigeriens we met in the capital Niamey in mid-May 2018. Dr. Souley Kouato Bachir studied in the city of Liege, Belgium where there is a strong Nigerien community. Meaning that if he had decided to stay in Belgium, he could have found a host. But once he was done with his studies, he immediately decided to return home to invest his time in agricultural research. With a Ph.D., he was more confident that he would have a place in the Nigerien economy. Dr. Souley acknowledges that there are not many in the country. It is a source of pride for him to have reached this level of studies and be able to bring his knowledge and skills at the service of the people of Niger. And since his return home, he is helping INRAN make progress in understanding the foot and mouth diseases and by extension improving the animal welfare of Niger’s livestock.